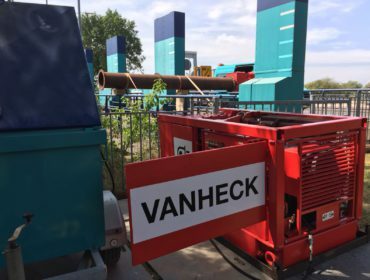 Because of the persistent drought Van Heck delivered a pump installation to the Rhine and IJssel Water Board. 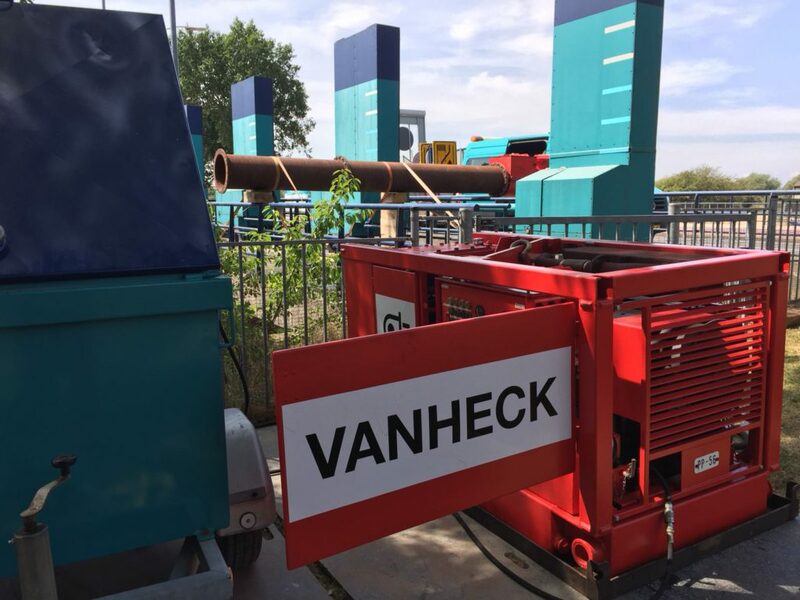 On 18-07-2018 at the end of the morning there was telephone contact between the Water Board and our project manager. 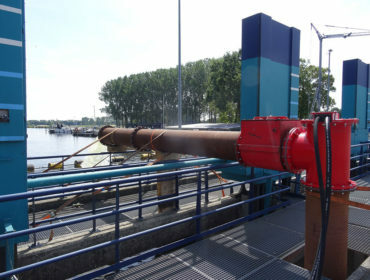 The Water Board had problems with the low water level on the Oude IJssel. Our project manager immediately stepped into the car to view the situation on site. In the afternoon, in close consultation with the client, the correct pump configuration and the pump location were determined. 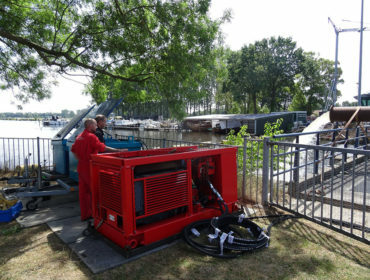 The next day the project manager had all preparations made (transport, pump testing and preparation, packing lists/CMRs and the rental agreement). On Friday 20-07, early in the morning, the transport left Noordwolde with the equipment and at 13.00 the pump installation was working, expertly installed and tested by two of our supervisors. If the drought persists, the pumping capacity will probably have to be increased for this Water Board. There has already been contact with other Water Boards that are dealing with the same continuing low water level problems.